Mon., July 2, 2018, 10:16 p.m.
Chris Froome was cleared of doping by the International Cycling Union on Monday in a decision that will allow him to pursue a record-tying fifth Tour de France title later this week. Froome had been racing under the cloud of a potential ban after a urine sample provided during his victory at the Spanish Vuelta in September showed a concentration of the asthma drug salbutamol that was twice the permitted level. The Tour begins Saturday and – before the UCI statement was provided – race organizers were reportedly denying him entry. “I have never doubted that this case would be dismissed for the simple reason that I have known throughout I did nothing wrong,” Froome said. Froome’s use of asthma medication has been well documented, and the Kenyan-born rider has often been spotted using inhalers during races. World Anti-Doping Agency rules state that an athlete can be cleared for excessive salbutamol use if he proves that it was due to an appropriate therapeutic dosage. 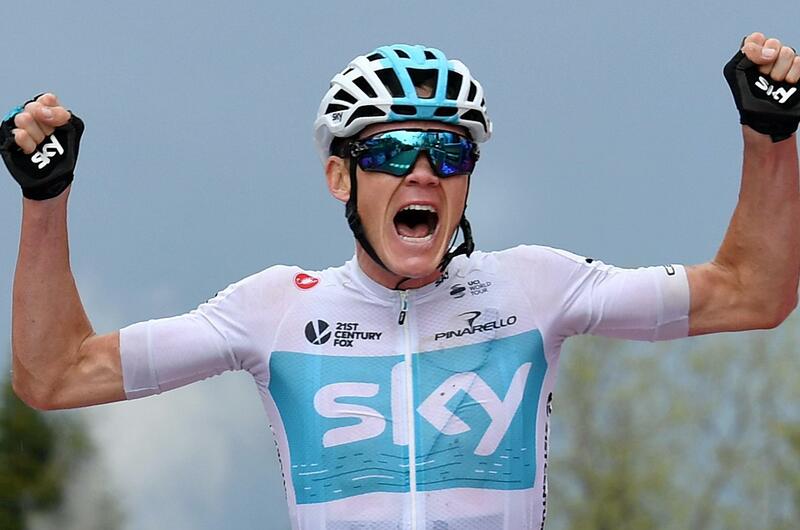 With one more Tour victory, Froome can match the record of five shared by Jacques Anquetil, Eddy Merckx, Bernard Hinault and Miguel Indurain. Published: July 2, 2018, 10:16 p.m.